Present state: Demolished - the site is now an industrial estate but the footbridge is still in use although in poor condition. Railway in 1841, but this had closed in 1856. The station kept its name until 1911 when, following a serious accident, it became known as 'Coulsdon and Smitham Downs'. Coulsdon South (then named 'Coulsdon') having been opened by the SER on 1 October 1889. 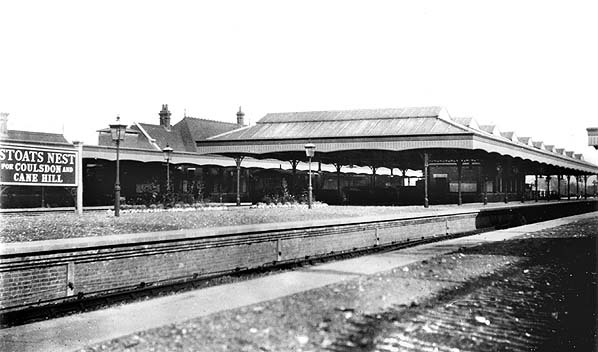 Following the grouping ordered by the Railways Act 1921, the new operator, the Southern Railway, changed the name of the station to 'Coulsdon West' with effect from 9 July 1923. However, this name only lasted 22 days before being changed to 'Coulsdon North' on 1 August 1923. 1929. It was one of the last to move across from the old overhead electric system. 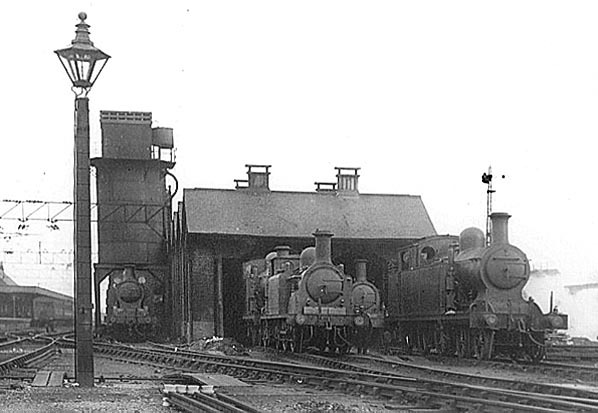 The Coulsdon North engine shed was closed in June 1929.
the same area and, by the 1960s, the decline had begun to set in. Only the terminal platforms were regularly used, for stopping trains from Victoria or London Bridge. 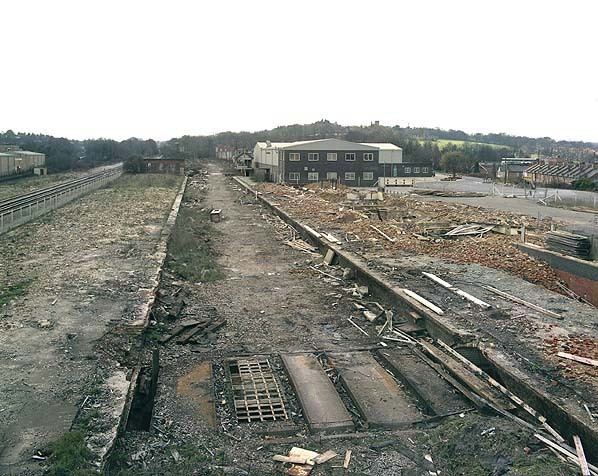 Weekend passenger services were withdrawn in 1965, the goods yard was closed on 7 October1968, and from May 1970, passenger services only operated at peak hours on weekdays. 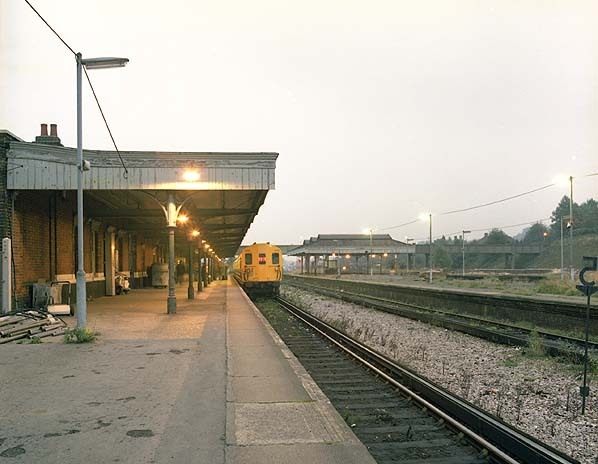 The station finally closed in 1983 as part of the resignalling of the Brighton main line. canopies on them. These were all connected by a subway. Stoats Nest for Coulsdon and Cane Hill station around the turn of the 20th century. 1935 1:2,500 OS map. The engine shed pictured below is seen in the centre of the map. Coulsdon North engine shed looking north east in February 1928. The station is seen on the left. Note the overhead power lines. Overhead power was short lived arriving at Coulsdon North in 1925. Within a few years it had been replaced with a conductor rail electrification system. Click here for another photo of the Coulsdon North shed. 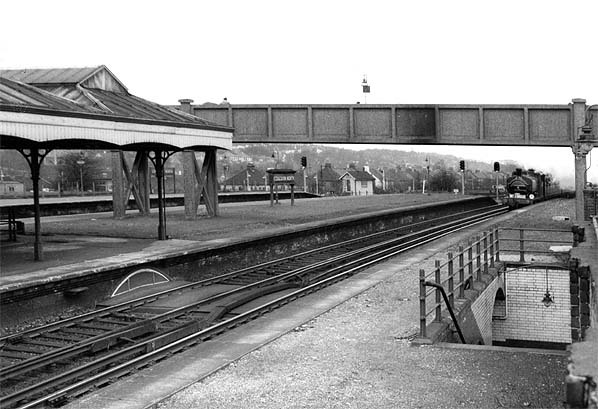 Coulsdon North station looking north c. early 1960s. 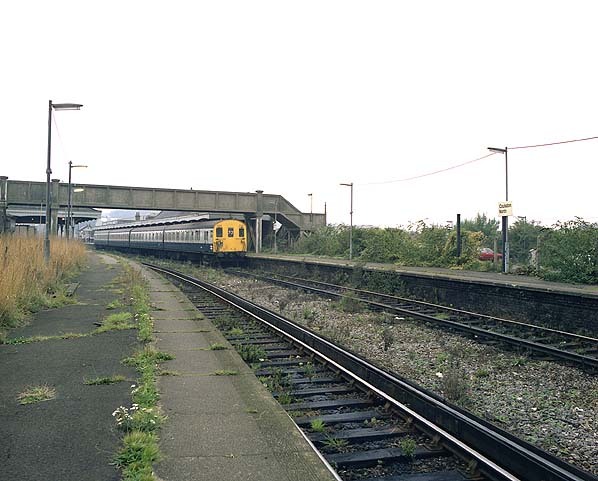 Coulsdon North Station in April 1986, shortly before the site was completely cleared. 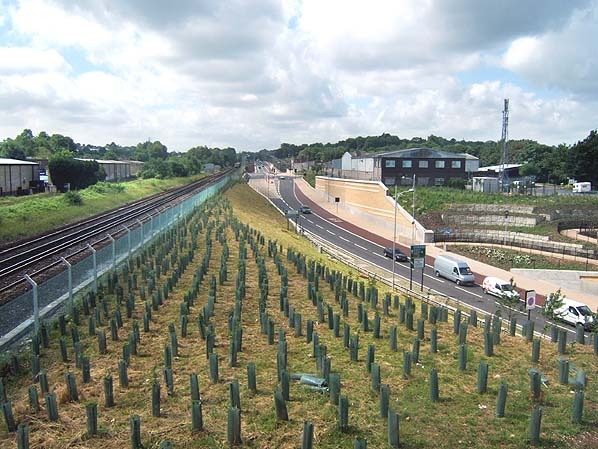 Looking south towards the site of Coulsdon North station in June 2007 six months after the Coulsdon bypass opened. The site of Coulsdon North station in 2010. 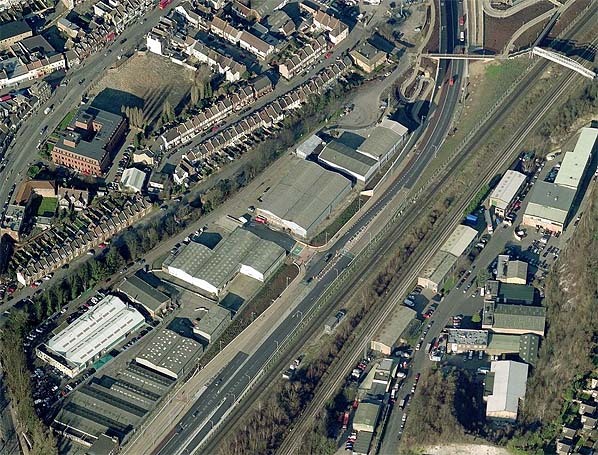 An industrial estate occupies the site of the goods yard and and the Coulsdon bypass (A23) now runs through the station site.